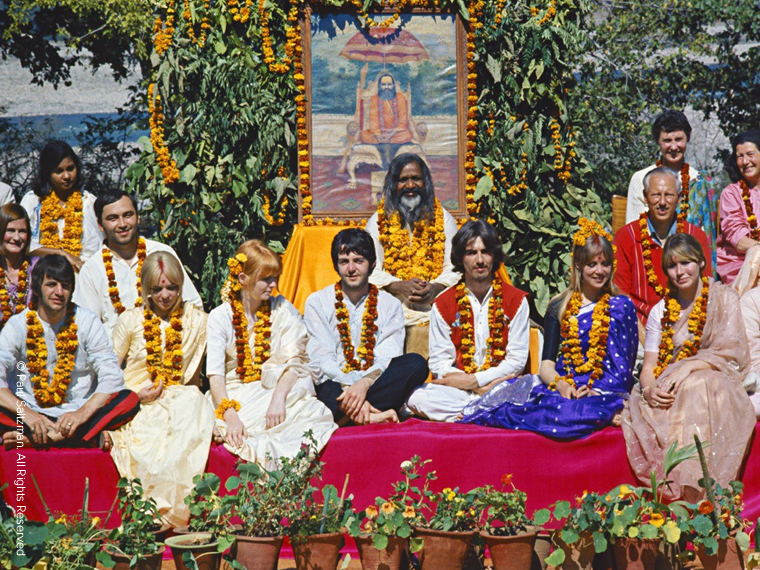 In February 1968, The Beatles travelled to Rishikesh in India to spend time at the Maharishi Mahesh Yogi’s Ashram studying transcendental meditation. 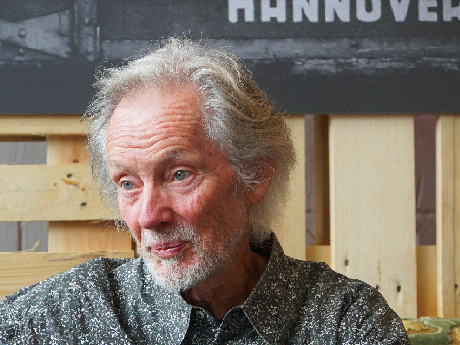 At the same time, 23 year old Paul Saltzman, then a sound engineer for the National Film Board of Canada, had also travelled to the Maharishi’s Ashram to study meditation to recover from a broken heart, after his girlfriend had broken up with him. He ‘hung out’ with and photographed The Beatles whilst he was there and his photographs have been judged ‘some of the best intimate shots’ ever taken of John, Paul, George and Ringo. 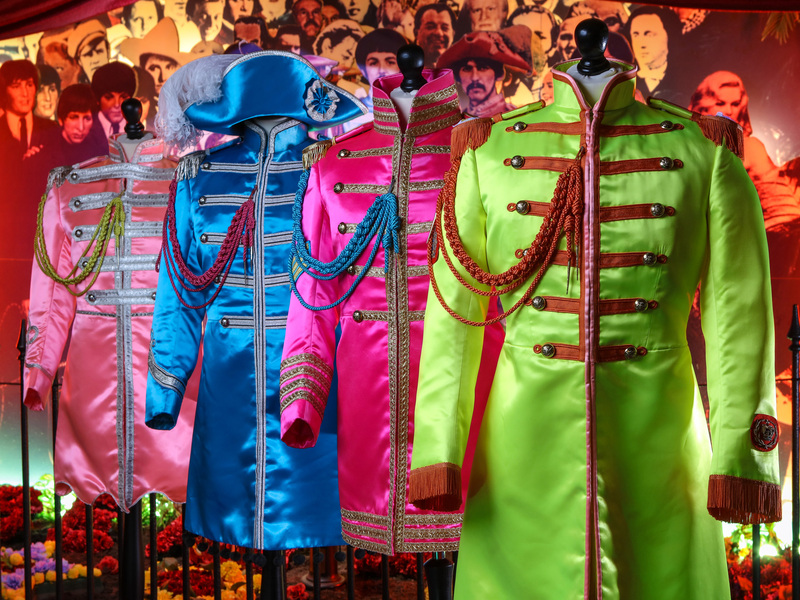 Here at The Beatles Story we will be celebrating the 50th anniversary of #BeatlesInIndia in 2018, and in preparation for this we speak to Paul Saltzman about his memories of time he spent there, and his plans to commemorate the anniversary next year. How aware of The Beatles and their music were you prior to your visit to Rishikesh and were you a fan? 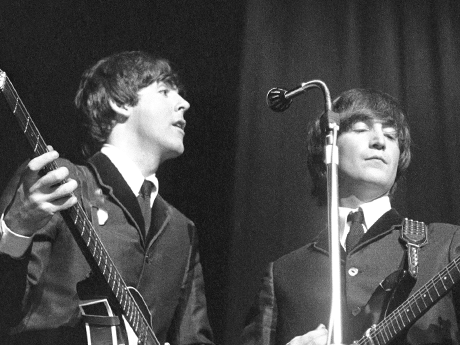 I first heard The Beatles the first time they were on Ed Sullivan. Then we danced to their music at all our parties. I saw them perform at Maple Leaf Gardens in Toronto in 1964, one of the most power performances I’ve ever experienced, including my being at the original Woodstock in 1969. The first times I heard ‘Tomorrow Never Knows’ and ‘Within You, Without You’ my mind was opened to new possibilities. I remember clearly asking myself “What are they talking about?” And I remember thinking, if there was an inner journey it was something my parents and my teachers hadn’t talked to me about. And I remember thinking that for some reason I ‘trusted’ The Beatles, and that began a curiosity to know more about this inner place. 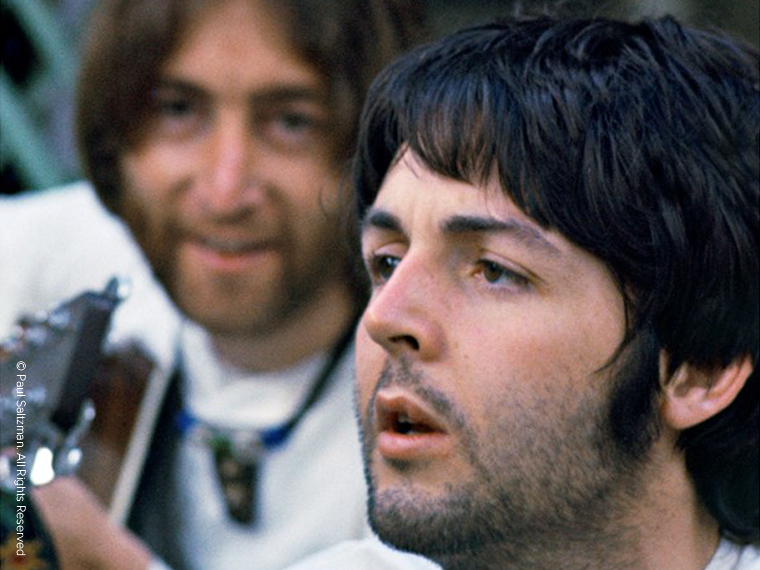 My first real experience of it occurred when I learned meditation at the ashram in 1968, and hung out with John, Paul, George and Ringo for a week. Yes, I was a fan. I loved and still today love their music and the wisdoms they shared with all of us. What did you observe of the relationship between John, Paul, George and Ringo during the time you spent there? It was very clear that the four of them were like brothers. Very close and very kind and loving with each other. It was clear they were family. And as close as they were with their wives/partners they were like an inner circle with their wives/partners close but just outside that circle. They were very joyful and funny. We joked around a lot. It was also obvious that John and Cynthia were not close or affectionate, and that John was slightly tense around Cynthia and that she was sad about this. You’ve said that photography was only a hobby during that time and you hadn’t any formal training, using your inexpensive Pentax camera to take the iconic images in your collection. Why do you think that these pictures are so captivating? In 2000, I did a first book, ‘The Beatles in Rishikesh’ with Penguin-Putnam’s Viking Imprint in New York and Stephen did the introduction for it. It was a success, quickly selling out, but they had messed up the printing, choosing paper and ink that made the photos look pretty poor compared to how they actually looked. I vowed to myself to one day do it right, realizing the only way to control the creative choices was to pay for the book myself. So in 2005 I self-published the high-end, Limited Edition books, ‘The Beatles in India.’ It was a thrill to make all the creative choices and have the book come out looking wonderful with the photos looking pristine. Paul McCartney's assistant told me that Paul said they were “A work of art.” A lovely complement from a master artist, Paul McCartney, whom I respect enormously! How much did the intimate time that you spent with The Beatles in Rishikesh affect the rest of your life and how do you think it subsequently affected their lives and music? My time at the ashram was life-changing for me. I had arrived there to learn meditation, hoping to heal a recently broken heart. The same reason Mia Farrow came to the ashram. I didn’t know The Beatles were even in India, let alone at the ashram and because they were there the ashram was closed to all visitors. So, it wasn’t good news The Beatles were there as I had a much more pressing matter to deal with. I slept in a tent and waited outside the gates of the ashram for 8 days, before I was let in. I was taught meditation. It took 5 minutes. I did one 30 minute meditation and it was an absolute miracle. I came out of the meditation and the ‘knife in the heart’ was gone and what had replace the agony was a calm, loving, blissful state. I sincerely felt that if my girlfriend was happier without me then it was good she had moved in with another fellow. And I had experienced for the first time that inner journey, that inner place that George had written about in his songs. Christ spoke of finding the Kingdom of Heaven that is within each of us: the same message all the great spiritual teachers of history speak of. That day I met Paul McCartney, John Lennon, George Harrison, Ringo Starr, Maureen Starkey, Pattie Boyd, Cynthia Lennon, Jane Asher, Mia Farrow, Donovan, Mike Love and their ‘roadie’ Mal Evans and they warmly just took me into their group. One day George and I were sitting outside, alone chatting. He said: “I was just going to go practice the sitar, would you like to come?” I totally didn’t even think of getting my camera, and it’s the one photo in memory that I wish I could share with others. We were both 24 years old, wearing our white Indian kurta pyjamas. It was a small meditation room, about 8 ft. by 10 ft with white walls and only a white futon on the floor. The late afternoon sun was filtering in through the window and the only colour in the room were the brown gourds and neck of George’s sitar. George picked up the sitar and began to play. I closed my eyes and drifted on the mystical sounds of the music he was creating. Time shifted. I don’t know if he played for 10 minutes or an hour. When he finished I slowly opened my eyes and we were both in an altered and very loving state. We sat and spoke about life. George was a remarkable man. ‘One in a million’ as they say. At 24 and a superstar he had a deep and genuine humility. At one point he said, without ego: “Like we’re The Beatles after all, aren’t we. We have all the money you could ever dream of. We have all the fame you could ever wish for. But it isn’t love. It isn’t health. It isn’t peace, inside, is it?” That was life-changing for me. His words went to the core of my being and I’ve never forgotten the wisdom and importance of them. So that’s why The Beatles went to India. They had all the money and all the fame. They were looking for the peace inside. I hope that relaxed and protected time of meditation may also have been life-changing for them. My sense is that it opened the flood gates of their immense creativity. 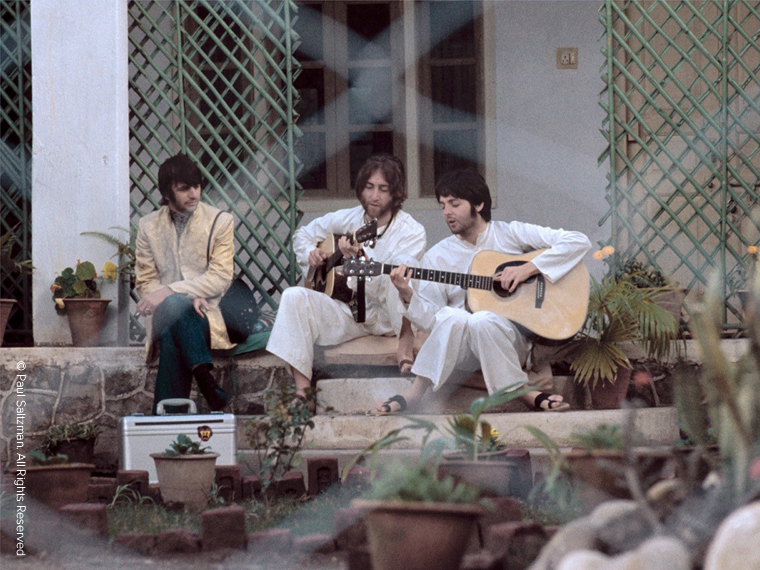 John and Paul told Dennis O’Dell, right after India, that they had written 48 songs at the ashram. And that was in a little less than 7 weeks if you average out their time there. It was perhaps their single most creative capsule of time in their illustrious careers. 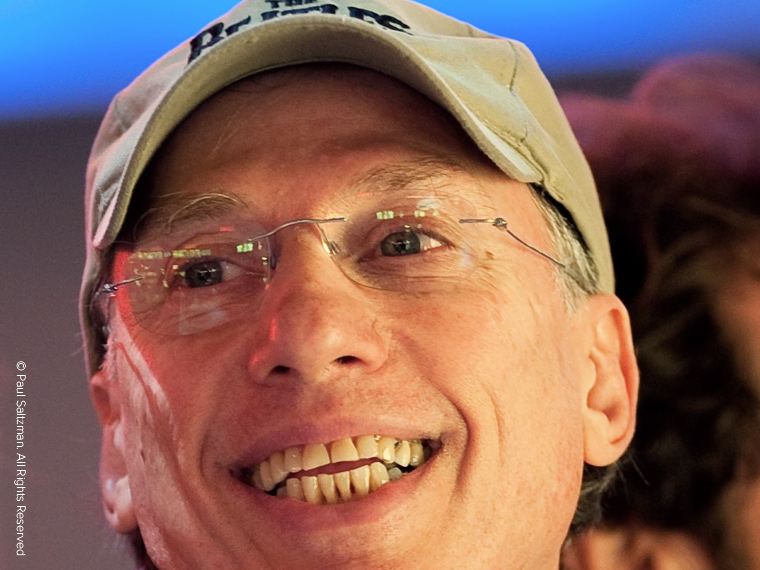 As an Emmy-awarding winning film and TV producer/director, you have worked with many stars of the film world, including Morgan Freeman and Harry Belafonte. Did you share your stories about the time you spent in India with The Beatles with any of these people and have you any stories to tell of how The Beatles had influenced their lives? I didn’t really share in storytelling terms with Harry or Morgan. When I met Morgan, we spent 9 hours together when I thought we were meeting for a 1/2 hour coffee. Over lunch he said “I think I’ll take you home with me” and I said “Cool.” So I met his then wife Myrna and we all hung out. To say thank you for his time I asked: “Do you like The Beatles?” and he said “Who doesn’t!” so I gave him a copy of my ‘Special Edition’ limited edition book. He loves it. When we were talking about him sending my first Mississippi documentary to President Obama, who’s a friend of his, to be clear of my motivation I said to Morgan: “I’d like to screen the film in the White House, not to meet the President, per se, but to further promote diversity and inclusion with American young people.” Then I added: “After all, I don’t need to meet Obama. 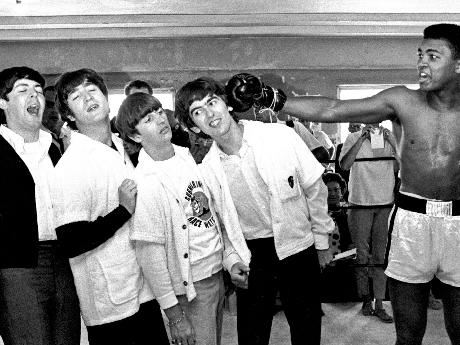 I’ve hung out with The Beatles and now with you!” And he had a great laugh. I don’t even think I told my first wife who’s from Delhi. It was a deep and private experience that I felt was important to let percolate deeper into my own being and not make it about storytelling. Now I have done the books, many gallery shows, etc. etc. spreading the joy and wisdom of The Beatles’ time in India, for the benefit of others. It’s a joy for me to share with others and see their joy when talking about The Beatles. Next year will be the 50th anniversary of the Rishikesh visit, do you have any plans to re-visit India? The 50th anniversary of their time at the ashram, 2018, is very exciting. I’ll be returning to the ashram and it will be about my 57th visit to India. Many times over the years people have said the exact same words to me. They’ve said: “I’ve always wanted to got to India, but it scares me.” And I’d ask what scared them and I’d share my experiences to address their fears. One day a young man said: “Would you ever take anyone there?” and I said: “What a nice idea.” So that opened a new hobby for me. I’m a filmmaker by profession but once every few years I take a small, intimate tour group to India, to share my joy of India and to open a wonderful experience of discovery for others. I’ll be taking my 4th group in September of 2018, in honour of the 50th anniversary of our time at the ashram. We begin in the deep south and see a great deal of India, ending our journey at ‘The Beatles Ashram’ as it’s now known. We spend the final 3 days in Rishikesh, which is a very, very peaceful and beautiful place in the foothills of the Himalayas. To find out more about Paul’s India tour please contact him directly at paul@sfl-films.com or click here.